We are aware of the fact that garden maintenance could be an intimidating job for people with no professional knowledge and experience in the field. In addition, making your garden look neat and freshly-cut with what you have at hand is not an option in case you are looking for good-looking results. So, if you are resident of Chiswick W4 or any of its neighbouring areas, make sure you pick up the phone and book a high-quality lawn mowing service with us. 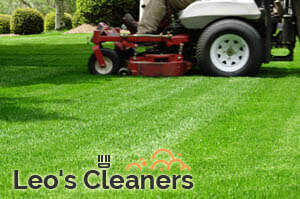 Our company has long experience in offering the best gardening and grass cutting services in London for a few years now and our employees will do their best in order to prove we are the right choice for you. As mentioned above, our lawn mowing and other gardening procedures are available not only in Chiswick, but also in its adjacent areas. We have always been customer-friendly and oriented towards the smallest details, which is exactly why we have been known as a reliable partner for both residential and business users located in London. By booking a lawn mowing quote provided by our company, you can be absolutely sure that only top quality services will be provided to you. 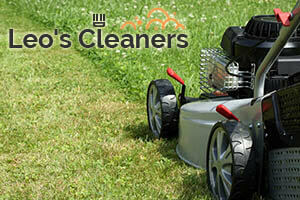 Our technicians are equipped with the best mowers in order for you to have your grass perfectly trimmed and shaped. In addition, our employees are especially trained to make a preliminary inspection of your garden’s condition to offer you their professional consideration and advice. You do not have to do all the gardening procedures by yourselves any more. You can simply pick up the phone and give us a call or send us an e-mail to book a lawn mowing service in W4 London for your residential or business estate garden. We guarantee maximum satisfaction with the results.